San Jose, California based Mountz Inc. provides torque tool solutions and metric fasteners to a variety of industries like aerospace, automotive, electronics, energy, medical, packaging and more. Using a quality torque tool makes a safer world through accuracy and precision. This is the core purpose of Mountz – safety, accuracy and precision. Since 1965, Mountz Inc. has proven its in-depth knowledge of torque and torque solutions by consistently developing, producing, marketing and servicing highly sophisticated, cutting-edge tools. Mountz Inc., known to industry as the nation's premier torque tool supplier, is an ISO 9001 registered and ISO 17025 accredited company. Mountz tools comply with ISO6789:2003 and are constructed from high quality materials, engineered for superior reliability and safety and backed by an industry leading warranty. 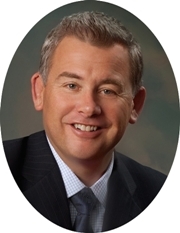 Brad Mountz is an inspirational leader with over 30 years of business management and people development skills. His personal tagline is Always Be Better, a motto and reminder for continuous improvement and learning. Brad is relationship driven and thrives on building capability in people and teams through customer focused initiatives. He is a husband and father of four children. He lives and works in the Silicon Valley region of California. Brad studied journalism and international business at Fresno and San Jose State University, before joining Mountz, Inc., a specialty manufacturer of precision torque tools. Brad and his wife Myra are active alumnus and supporters of university athletic scholarship programs, Catholic Charities, among other charitable endeavors. Brad enjoys wine, golf, cycling, youth sports and family gatherings of any kind. CEOCFO: Mr. Mountz, what do you do? What is Mountz? Mr. Mountz: Mountz is a company that provides solutions to any kind of fastening problem. That might include providing fasteners to companies, and it certainly includes torqueing them correctly. We have a range of products for these applications, and our customer base is primarily Fortune 1000-style manufacturing companies or any company that is interested in quality as a part of their business. My job is to ensure our customers are promoters of our company. Selecting the right staff and providing ongoing training so we are continuously prepared to serve and retain customers is my main activity and passion. CEOCFO: What would be an example of some of the common applications and where might you need to develop something a little more outside the box? Mr. Mountz: One interesting aspect of Mountz tools is the range of applications they are used on. From consumer-based products like the iPhone to large oil field apparatus with six inch diameter bolts, Mountz products are used to build or maintain something – to keep things from coming apart. Everybody is familiar with the iPhone, and there are two very small screws on the front of the iPhone. You can hardly see them at my age, and they need to be properly torqued in order for the iPhone to work correctly. Every Genius Bar in the world and every authorized Apple retail service center have one of our tools to install and remove fasteners correctly. That would be on one end of the spectrum. On the other end, our tools are used in the oil industry, on a blowout preventer, a specialty valve designed to seal, control or monitor a well. This is the opposite end of the torque spectrum – meaning much larger in torque. This huge valve controls an oil well, so that is very different; yet still torque related and very critical to ensure safety and performance. Mountz makes many special tools as well and that is one of the things that differentiate us from our competition. We are application-based solution providers – technical problem solvers. A customer may have an application and they cannot find a source to come up with tooling or tools to do the job. We have an engineering department that works specifically on these specials. Mechanical, electrical and software engineers that creates tools for single applications. One application that goes back a few years and is still interesting is the space shuttle program. The space shuttle is required to be secure when put onto the mobile crawler that drives it out to the launch pad. Proper tightening is what makes it secure. Mountz made all of the torque equipment to tighten the bolts and nuts for both the mobile crawler and the 747 transporter which hauls it coast to coast after a landing. Those kinds of projects come to us often given our specialist nature – in different sizes, for thousands of unique applications, to hundreds of industries. Many people can relate to the space shuttle, so that one is kind of neat to talk about. CEOCFO: What goes into the process that you need to think about and work on to get it right? Mr. Mountz: Not every person tightens something the same. I might tighten it different from you. I am six foot, four, I work out, and maybe I am stronger than operator B. Operator B might be a 110-pound woman. If you are working on an auto assembly line or the space shuttle, the way I apply torque might be different than the way you apply torque. The first philosophy we are going to bring to the table is a unified way of tightening regardless of the person doing the job. From there with a job like the space shuttle, we really need to understand the requirements of the engineering team that is responsible for the job. We start with a requirements document and look through it to find what the key elements to a design would be. We interface with the customers engineering team. We follow the guidelines that they have put together. We have some latitude in design, but in the end what we are trying to accomplish is for an operator, regardless of size or strength to be able to apply torque to a bolted union or joint in a similar way. It takes a set of specifications either generated by the customer, but in many cases, when customers do not have the specifications, we help to generate them. CEOCFO: I am guessing there are not as many companies with the depth of Mountz. In general, what is the competitive landscape? Mr. Mountz: The competitive landscape is brand based like any industry. We think that Mountz is the largest independent torque and fastening expert, but it is hard to know because private companies do not publish their financial data. To be honest, we don’t really care. We don’t focus on size. We focus on customer satisfaction. Snap-on, is a very well known brand worldwide and a competitor to anyone in our field. Then there are hosts of smaller brands that make up the competitive landscape. Our range of product, combined with 50 years of expertise and knowledge and the passion we have for customer satisfaction is our brand. It’s why customers repeatedly tell us they select Mountz. CEOCFO: Do your potential customers know you in all the industries you might work with, or are there some areas that are not as aware of Mountz as they should be? Mr. Mountz: I would go for the latter, and I say that even with the fact that we have been around for 50 years. Torque and torque control is an evolving quality science. It is not used in all developing markets and is often overlooked in mature markets. We foresee continued market growth, but at the same time we are in a niche business. Mountz is a private company that self-funds, and we do not have a huge marketing budget. We rely on word-of-mouth advertising from satisfied customers. You are not going to find us advertising in trade publications. We do not spend our money that way. We spend it trying to make the customer happy and in solving their application problems. We hope that if we continue to do that, we remain relevant for another 50 years. CEOCFO: How long have you been CEO? Mr. Mountz: Since 1998, and that happened just before the .com bust. We were cruising with our foot on the gas, and then we had the first lay off in the history of our company in 2003. I would say that is really where I learned how to manage not only the business, but people. CEOCFO: What have you learned about managing people that you did not know before? Mr. Mountz: As a new CEO, well, my view of it was I was managing processes and managing expectations of the shareholders or stakeholders - a command and control management philosophy – very classic management. What I have learned since 2003 is it is not about that at all. It is about managing whatever it is the customer wants, and hopefully correctly knowing what they want. It is about ensuring your people are ready to provide whatever the customer wants and are passionate about doing it. This means training. It means engaged employees. You cannot expect employees to be engaged unless you engage them. I think I have made a 180-degree shift from trying to organize business processes and systems around people to organizing the capability of people around what is needed. It is a paradigm shift for sure and one you cannot make without some failure or at least a keen awareness about how business really works. The processes and systems are critical for any business for it to be effective, but my attitude was that had to come first. I think now what needs to come first is an understanding of what the customer wants and an ability to align your team to those needs. The team is critical. If you do not have a good team, you are not going to deliver what the customer wants. We spend almost all of our time focused on making our people happy so that we can make our customers happy. A simply strategy! CEOCFO: It is amazing how many companies do not get that! Mr. Mountz: I read many books and articles. There is a lot published today about people engagement. I think we are fortunate. We are a private company, and I get offers weekly to engage in M & A discussions. We do not want to be held to the Wall Street standard of success. I think that is why people do not get it. There is so much pressure on C Level management in public companies to produce stock growth or dividends that they forget that their results come from a very important constituency - the customer. The only way to make those customers happy is to have employees who are 100 percent engaged or as close to 100 percent as you can get them. CEOCFO: You have Mountz Pro as well as Mr. Metric. Tell us about the two divisions. Mr. Mountz: Mountz Pro was started just a little over a year and a half ago as a way for us to expand our market. Mountz focuses 99.9 percent of its efforts in the industrial segment of our economy. We feel and we know, and we have known for a long time, that the automotive sector not vehicle manufacturing, but vehicle servicing is larger than the industrial sector. We have created MountzPRO to differentiate our brand because we certainly do not want to confuse our industrial customers into thinking that Mountz Pro type tools are the same as the Mountz industrial brand tools. We have seen our competitors do this. It is a mistake. The MountzPRO brand is being positioned toward the professional service industry, and the concept is to make fastening easier for the professional. We might go beyond just conventional fasteners and torque tools with that brand. Price points, tool durability or tool life may be different. It is new and we are still trying to find our way with it to be quite honest, but it is one strategy that we think has a future, and we have a brand manager behind it, so we are excited about its potential. The third brand, we bought a company in 2010 called Mr. Metric. It is a metric fastener specialist, and they primarily sell to the industrial industry where Mountz is familiar. Our customer base is largely the same. We feel it is a customer and product extension strategy where we are trying to offer our existing customers more. In many marketing books I read, experts say it is easier and more cost effective to do business with existing customers than it is to chase new ones. While we want to do both, we feel we can offer more to our existing customer base if it is related and in-line with our knowledge. Since so many of our customers are global and they use metric fasteners, it seems to us to be a niche strategy where we can excel. So far, I think it has been good. We have introduced an ecommerce site that is very new to our style of marketing and selling. It has created a new channel and new customers. It has gone very well. We started with no orders and now are growing toward 1,000 a month. Exciting. CEOCFO: Do you manufacture in the US? Mr. Mountz: Yes we do. We are not exclusively manufacturing in the US. The entire tool trade in North America has gradually shifted its way to Taiwan and China, but we retain manufacturing locally - even in Silicon Valley. We do not do any production machining at Mountz anymore, but we have local subcontractors we work with and we have subcontractors outside of the country as well. Our central warehouse for all product shipments is in Foley, Alabama. Everything that is assembled, calibrated and tested or that is produced by our sub contractors is sent to that warehouse and then dispatched from that location to our customers. CEOCFO: Put it all together. Your site indicates that Mountz is making a safer world through accuracy and precision. Why should people be paying attention to Mountz? What sets the company apart? Mr. Mountz: I would have to say exclusively it is our people that set us apart. We believe in being people-centric, a relationship-based company with our employees and our customers. We want to be transparent with our team and our customers. We are an ESOP company, which means our employees are owners in our business. We treat them that way, share information with them about our objectives, our desires or profits. And we want them to share their desires and be part of crafting our goals and their own vision. I think that we have a will as an organization to make our world a better place. That sounds like very mushy language, but at the end of the day that is what our products do for people. Our products are used on seatbelts, airbags, flight apparatus, medical devices, baby car seats and much, more. What I try to convey to our people is that what we do has an impact on the safety of other people. If someone is injured, there is a family suffering somewhere. What we do, the accuracy and precision in which we do it, does make the world a safer place. If we can all be engaged around that purpose, then I think that is something that everybody can feel very good about when the go home each day. Our people do feel good about that, and that is why we go the extra mile for our people, whether it is health and wellness programs, training, education support or simple things we do to try to make them feel good about themselves. That is how we think we can make our customers feel good about us, by treating our people like family. Why should people care about us? I think our customers should care because they are going to find Mountz People care about them and care about what they are doing, and you do not always find that today in business where somebody is engaged with you completely. We are obsessive about customer satisfaction. We use the NPS scoring system, and we publish our customer satisfaction data weekly to every person in our company. We get feedback every single day. I speak to every customer who has a complaint so I can understand more about their needs - what it is we did or did not do and why it is that way. We try to get to the root cause of every problem and that is tedious, tiring, but necessary work. I think this type of dedication to customers is important today, especially when the news is littered with people who get it wrong.